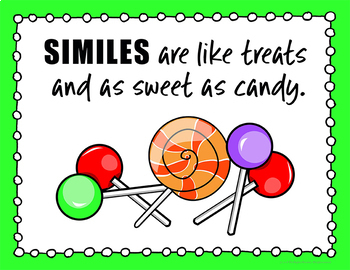 This unique poster set features 8 posters with playful, catchy sayings that help define alliteration, adages, hyperbole, idioms, metaphors, onomatopoeia, personification, and similes. 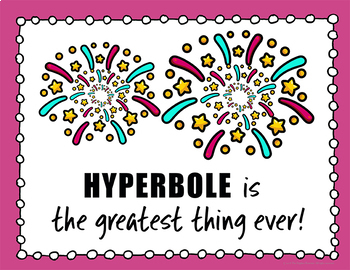 The posters make a great interactive bulletin board, especially after students have been introduced to these types of figurative language. 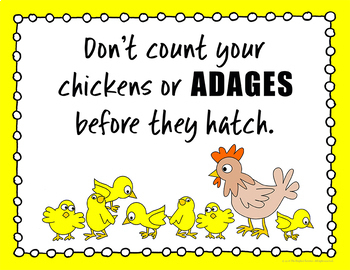 Great for critical thinking! 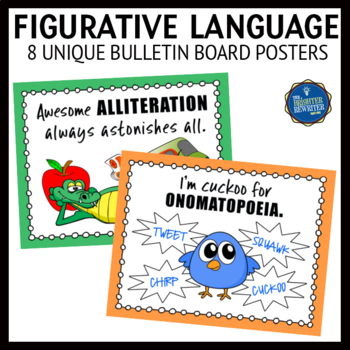 The preview shows all the figurative language posters in the set. A title poster is also included. Everything was designed in high resolution for printing with 8.5×11 paper.